Is the bargain 4770 still good value for power? It may offer good performance for little money, but does the 4770 sail too close to the beefier 4850? AMD's curveball card really does present a problem for, well, almost everything else out there. 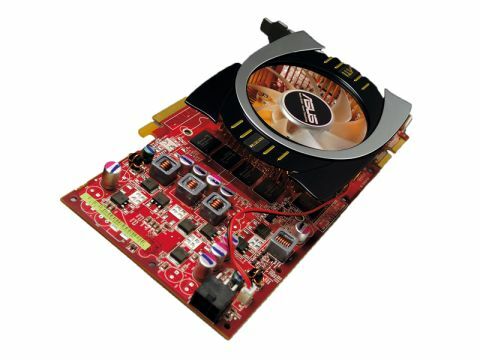 The chip itself is very similar to the much loved Radeon HD4850. What it lacks in physical shader cores, 160 of them to be precise, it makes up for in higher clockspeeds, a fact made possible because it's produced on a mere 40nm process. It's also tiny, one of the smallest printed circuit boards we looked at, and has an equally small and quiet heatsink. To top off these astounding details, this card also draws around 40W less than the Radeon HD4850, so it's a low-power card too. Benchmark-wise, it gives its stablemate a good run for its money at lower resolutions and image quality settings, even beating it on occasion thanks to that higher clockspeed. Compared to the previous two Nvidia cards, there's a clear generational gap at the same settings. Turn up the settings, though, and the shader deficit starts to show through. While the HD4850 can almost keep pace with cards that cost twice as much as it does, the HD4770 sometimes drops back to 9800GT levels. Since launch, it's been a thorn in the side of the HD4850 and preferable because of its price at every turn. The trouble is that prices have fallen so far that you're not actually saving much money by choosing this over its more consistent older sibling any more. A ten percent price advantage might sound like a lot, but since that's only £7 it's fairly negligible in this particular case. Still, every little helps in these troubled financial times and if you want the very best value, you'll find it underneath the unassuming heatsink of the HD4770.